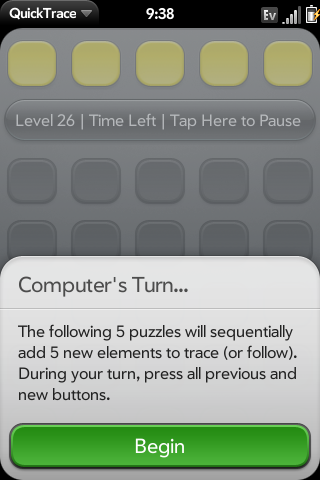 QuickTrace is a simon-style, follow-the-leader game that contains 30 levels of fairly easy gameplay. Please help me out by testing the game and leaving some feedback. The full 90+ levels will get much harder, and will soon be available in the Official App Catalog.